There are many different approaches to classroom instruction, but they can typically be grouped into two broad philosophies. The first is direct instruction and the second educational philosophy is referred to by many different terms such as: inquiry, progressive, project-based, student centered, and many more. 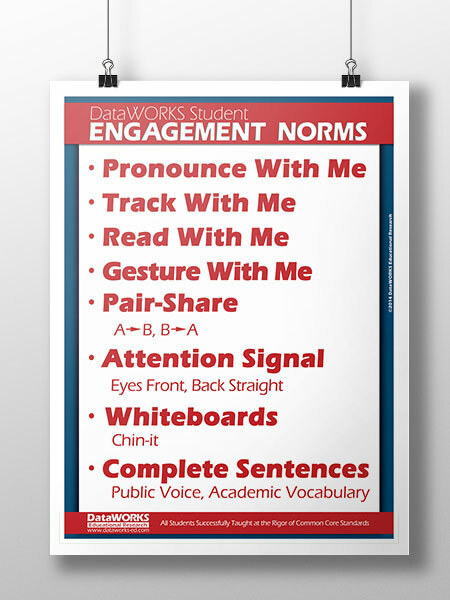 Indeed, the extensive classroom experience of the DataWORKS founders and staff has proven that direct instruction is more effective and efficient, especially for struggling students and English learners. In fact, there is overwhelming research supporting teacher-led, explicit, direct instruction. DataWORKS built upon this approach, developing and refining their own specific version of direct instruction, called Explicit Direct Instruction. Explicit Direct Instruction (EDI) is a strategic collection of research-based instructional practices pioneered by pedagogues and cognitive researchers, such as Hattie, Rosenshine, Marzano, Sousa, Hunter, Goldenberg, and many more. When all of the research is combined, you get EDI. These strategies help teachers deliver well-crafted lessons that explicitly teach grade-level content to all students the first time a concept is taught. 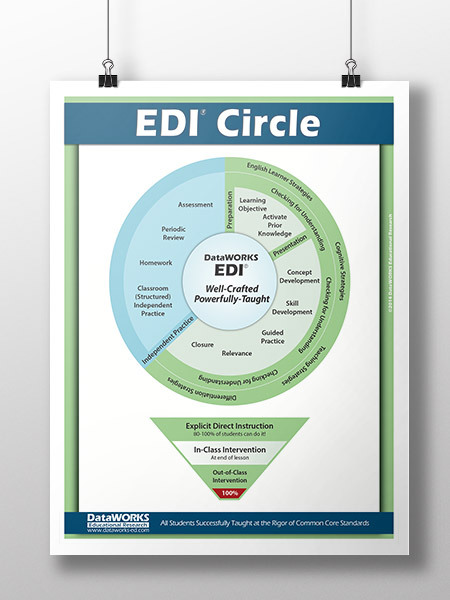 EDI is an approach that successfully accomplishes the DataWORKS goal of improving learning for all students and especially for low-performing students. With the adoption of the Common Core State Standards, the DataWORKS’ EDI approach to teaching has become more relevant than ever before. The EDI collection of research-based strategies already included 75% of the shifts for Common Core, such as text-based lessons, text-based answers, academic and content vocabulary, strong concepts as well as skills, and real-world connections. In addition, EDI Lessons and Lesson Design training have evolved to include more expository text, more application problems, Common Core learning objectives, and Access Common Core questions that utilize the new types of assessments. Common Core is the destination that many schools are aiming for, and EDI is continuing to be an effective vehicle for getting there. For a more in-depth look at the research supporting Explicit Direct Instruction, check out some of the other resources listed on our Research page.